The results have been reproduced after genetic manipulation of three different tissues (liver, adipose tissue or skeletal muscle) to produce the FGF21 protein. "This gives a great flexibility to the therapy, since it allows to select each time the most appropriate tissue, and in case some complication prevents manipulating any of the tissues, it can be applied to any of the others. When a tissue produces FGF21 protein and secretes it into the bloodstream, it will be distributed throughout the body," says the director of the study Dr. Fatima Bosch. The authors highlight the importance of these results, since "the prevalence of type 2 diabetes and obesity is growing at alarming rates around the world," explains the UAB researcher and co-author of the study Claudia Jambrina. Obesity also increases the risk of mortality and represents an important risk factor for cardiovascular and immune diseases, hypertension, arthritis, neurodegenerative disorders and some types of cancer. "This is the first time that long term reversion of obesity and insulin resistance have been achieved upon a one-time administration of a gene therapy, in an animal model that resembles obesity and type 2 diabetes in humans," says the first author of the paper and UAB researcher Veronica Jimenez. "The results demonstrate that it is a safe and effective therapy." For Dr. Bosch the next step will be to "test this therapy in larger animals before moving to clinical trials with patients." AAV-mediated gene therapy has been approved in Europe and the United States for the treatment of several diseases, due to its efficacy and safety profile. Similarly, there exists extensive clinical experience in applying AAV-mediated gene transfer to liver and skeletal muscle. Consequently, "the therapy described in this study constitutes the basis for the future clinical translation of FGF21 gene transfer to treat type 2 diabetes, obesity and related comorbidities," Dr. Bosch concludes. 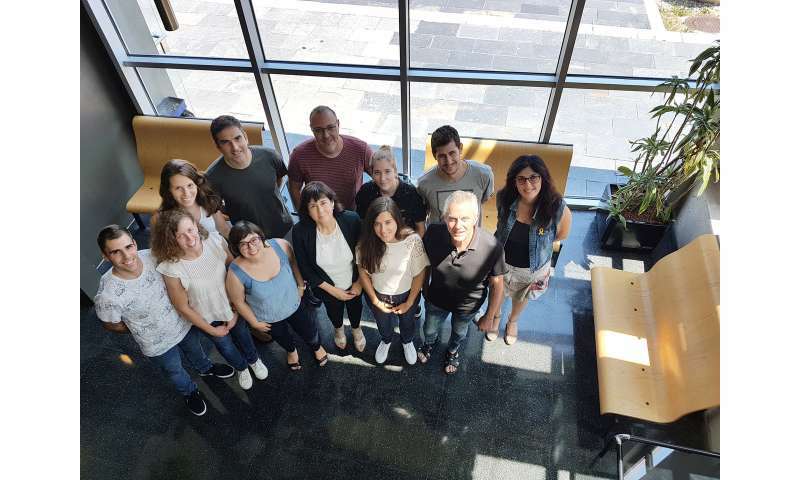 The results of the research are published today in EMBO Molecular Medicine.